The most common question I get asked is ‘why real estate?’ and here is why. I am a average cook, mediocre beautician, hopeless in a mechanics workshop BUT I found my passion in real estate and turns out I am now the start of the new real estate generation. My why is because now that I have found what I am good at I want to be able to use my skills to help people buying & selling properties and to build new relationships throughout the community. With youth on my side I can market my listings with the new and upcoming ways. I have always been a people person and that’s why I enjoy working in real estate because communicating with new people and helping them out when needed comes naturally. 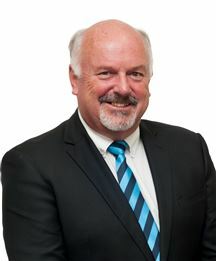 Whilst being at Harcourts I have been lucky enough to have worked with Sue Ellis for the past year, this has given me a lot of experience in the industry and gives me great confidence starting as a new salesperson. With the experience behind me and my determination high, I am looking forward to making my mark in the real estate industry. A bit about me... I have previously worked in the Hospitality Industry for thirteen years and I know what it is like to be in demanding and stressful situations. My passion I have for sales and my client satisfaction are what has helped me to become the real estate salesperson I am today. I aim high and believe in working to the best of my ability. How I work... Being new to real estate, I am sales and customer driven with a strong passion for sales. My main focus is to provide the best service I can for all of my clients and to get the best results I can as your sales representative. I can offer time, patience and results. I believe in these four important letters: R: Respect: A main ingredient in all relationship building, something I strongly believe in is showing and respecting my clients. E: Empathy: Listing and selling property can be a stressful time, I will strive to help make this process stress and hassle-free and making sure I show my clients Empathy at all times. A : Action: Putting my client’s needs and wants in Action is my number one priority, my client’s rely on urgency so my promise to them is to back that up in my actions. L: Loyality: I will dedicate my time and show my clients the Loyalty they deserve at all times, building and maintaining their trust right through, is my commitment. I love Wanganui and having travelled and worked overseas, I was drawn back to Wanganui to raise my own family. I have genuine empathy towards young families trying to step into the property market. It’s fantastic Wanganui still offers affordable real estate, encouraging young people and families to make their ‘home owner dreams’ a reality. No two properties and no two people are the same. 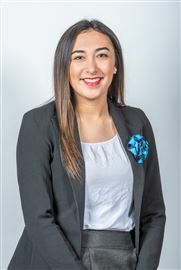 Working with people is my passion and I’m looking forward to building rapport and offering a more personal level of service for my clients as a newly qualified sales agent, and an enthused member of the Harcourts team. Sales are best described as the transfer of enthusiasm. I am a sales and marketing professional with a strong background of remarkable sales. Choosing the right sales person does make a difference to the sale price of your property. I have the systems and processes to get you the best possible price in this market. Property ownership is likely to be the biggest investment you’ll ever make, and I take your investment seriously. 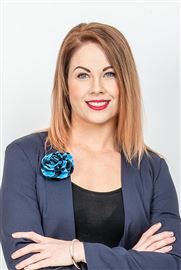 When given the opportunity to work for you, I will listen, provide consistent communication, encouragement, support and help you become an informed and confident ‘buyer or seller’ in Wanganui. A Dream written down with a date becomes a GOAL, a goal broken down into steps becomes a PLAN, a plan backed by ACTION becomes REALITY. Together, buying or selling property is a reality, call me today to DISCUSS your options and get YOUR property SOLD! I have a passion for real estate in Whanganui. 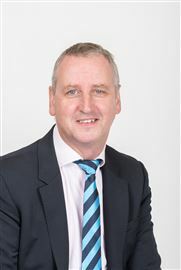 Living and working locally means that I can offer honest and real advice about the local property market and area as a whole. I want to use my knowledge and skills to help my clients and to make a difference in the community. I am a capable salesperson, I succeed at anything I put my mind to and I am dedicated to helping my clients achieve top results. Being able to relate to many types of people from different socio-economic and cultural backgrounds means that I have the opportunity to offer my services to almost anyone who needs it. 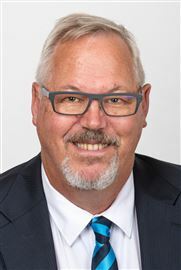 I am dedicated to delivering the best service for my clients and am proud to work with Harcourts Whanganui as their values are congruent with my values of respect, loyalty, trust, honesty, integrity and transparency, and importantly, putting people first. My focus is on getting the best possible outcome for my clients and customers. I am also committed to providing regular and honest feedback and I act with efficiency and confidentiality. In my spare time I enjoy playing sport, exercising and spending time with friends and family. If you need help buying or selling your home or investment, or simply would like to have a chat about where the local market is at, then get in touch with me today. 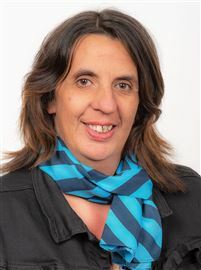 Sue Ellis is one of Whanganui’s top real estate agents. She endeavours to achieve the absolute top results to assist her clients in achieving their goals. Consistently a high achiever, if you’re truly searching for an agent who will exceed your expectations of what a sales agent should do for you and your property, then you should contact Sue Ellis today and put her to work for you. With experience, trust and knowledge Sue can guide you with confidence in your next property transaction whether it's to sell your home or buy your next dream property. Sue listens to her clients to ensure that she can provide her clients with their wish list of what they would like in a property, if she doesn't have it in stock she will find it! Looking to list homes in your area today, so for a FREE no obligation appraisal or just some friendly advice, call Sue today and let her get you SOLD! 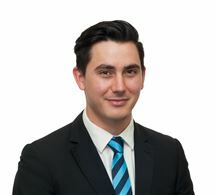 Kieran grew up in the Whanganui Region having been educated here and now has returned to Whanganui having completed his bachelors and post graduate diploma in finance, and spending his early graduate years as an investment analyst in Wellington. 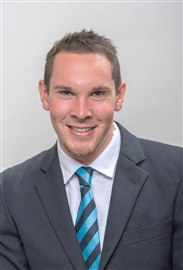 Kieran now joins Harcourts Whanganui to apply his investment knowledge and fulfil his passion for property. His role as a Business Development Manager in the property management team is to focus on our property investment clients, assisting them to maximise their investment interests, minimise potential risks and find long-term solutions in this ever-changing rental market. To receive your no obligation rental appraisal and to know with confidence your property will be managed with your best investment interest at heart. Call Kieran today. Want a College Estate Project? Big Bold and Looking for You. Sea, Sand and Some Work.